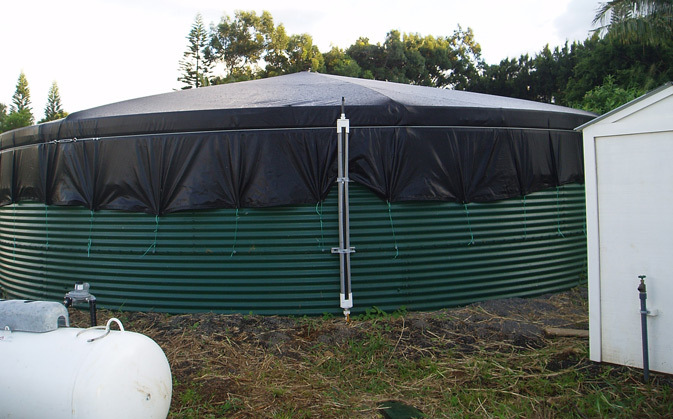 Our Water tank liners are HDPE high density polyethylene, a clearly superior product for water storage as it does not allow “molecular transmigration” from the plastic to the water (imparting taste and chemical contamination). Vinyl while common in the industry shrinks, gets brittle, cracks and smells strongly of vinyl. Vinyl is known to release estrogen into stored water. Our HDPE liners are reinforced with nylon in both directions for extra strength. 20 mil White vinyl water tank liners are available on request for replacement or new tanks.